Our SFMTA Wants to Claim It’s Increasing Parking Up at Twin Peaks, But It’s DECREASING Parking – One Simple Trick! Most of the tourists on top of that twin came from all the cars you can see on the left side. But all that parking is gone now, so tourists aren’t going to go to the top of Twin Peaks as much anymore. Will any parking be added or removed? No parking is being proposed for removal. Today, informal (illegal) parking takes place at the center of the Figure 8 and occasionally in the outer lane of the roadway. This project will formalize parking at both the center and south intersections, increasing the number of available stalls. Parking in the travel lane will no longer be possible. So they’re not “removing parking,” they’re simply blocking cars from getting to the parking spaces? And you can’t park on the side of a highway in CA anymore, is that correct, really? Problems with public meetings that may be addressed soon in a ballot initiative. No description of how many parking spots are being lost this way. No mitigation measures. No environmental impact consideration. Bargain pricing of a pubic asset. This is clearly an example of MTA following in the railroad tracks of Il Duce. Since when has our democracy in SF taken such a severe hit to the groin? I also admonished the chairman for conducting a meeting without being able to be heard by the audience. When I first asked him to speak into the microphone, he looked up at me, and then went right back to mumbling whatever he said. After I denounced his contempt for the folks who came to participate, he went, again, right back to speaking without being heard. It is not a public meeting if the conversation of all the speakers cannot be heard. Luis Montoya, SFMTA lead planner of the Polk Streetscape Improvement Project, faced concerned residents and merchants in a closed door meeting Thursday in preparation for the upcoming January 30th Public Hearing to approve the agency’s long awaited project plans. Community members were alarmed to read that the MTA is proposing a morning and evening daily tow away zone for the implementation of a “temporary floating” bike lane from Pine to Broadway as posted on public notice posters wrapped along utility poles in their neighborhood. Further questions and concerns grew from a report released from the planning department detailing the project’s exemption from an environmental impact report and the proposed plans including raised cycle tracks from Pine to Union, the removal of parking along the entire eastern side of Polk St, and the removal of up to 250 parking spaces at project completion. The report suggests the desire for future implementation of a full‐time raised cycle track along the east side of Polk St from Pine to Broadway (and permanent parking removal). In response to these questions, Mr. Montoya commented that the posters were misprinted and there are absolutely no plans to implement a PM tow away zone along upper Polk St from Pine to Broadway. He went on to comment that the report from the planning department is not his preferred proposal he will present at the public meeting on January 30th, but the planning department’s own interpretation of the project plans and data collected. How the Planning Department concluded the PM tow away zone he could not say. He did confirm his agency’s intention to implement the morning tow away zone despite minimal ridership numbers the SFMTA has recorded along northbound Upper Polk St on weekday mornings, and denied the SFMTA is planning to present a plan that calls for the removal of all northbound Polk St parking to create a raised cycle track from Pine to Broadway St He added that his plan will remove approximately 150 parking spaces along the 1.3 mile Polk St. corridor (in addition to the hundreds of spaces being removed for the Van Ness BRT project), not the 250 listed in the Planning Department report. At the conclusion of the meeting he asked the group for their trust and support despite the inaccurate and misleading public notice posters and planning department report, and left with a permanent marker in hand to personally alter the posted public notice signs. On Friday a majority of the posters had been removed entirely, again questioning the agency’s accountability to the community in providing appropriate public outreach. The Polk Streetscape Improvement Project public hearing will be held Friday, January 30th at 10AM in Hearing Room 416, City Hall. This sounds like a real comedy of errors. Could this have anything to do with the Planning Department being overwhelmed with work requests? Time to slow down. The SFMTA’s endeavor to reserve on-street car parking spaces for car-share vehicles has yielded complaints from some car owners who, ironically, decry the “privatization” of space currently used to store private cars. But the greater point that some folks seem to be missing is this: No use of public street space is more “private” than dedicated storage of private individuals’ automobiles. To decry converting comparatively few of these spaces to welcome a much more efficient form of auto storage – making each space useful for dozens of people, rather than one or two – is absurd. The comments on this article are off the rails. We need a serious discussion about the privatization of public property among people who know the legal facts. Hundreds of on-street parking spaces will be set aside for car-sharing vehicles this fall as part of a city-led effort to reduce private-car ownership in San Francisco. Companies like Zipcar and City CarShare will be allowed to reserve up to 150 spaces apiece, with another 150 potentially available next year. Wheelz, which specializes in peer-to-peer transactions involving personal vehicles, and Car2Go, a startup that features one-way car trips, could be included later. Save Polk Street likes Plan “A”. It remains to be seem what they will get, though the cyclists are unhappy with the latest design choices. Supervisor Campos made comments on the SFMTA plan before and after the presentation and comments by neighbors. Most people found the studies were lacking in accuracy and called for a better survey of the neighborhood before enacting any changes in the area. David agreed with residents and business owners that even though many changes to the original plan, such as allowing RPP for residents and Preferential Parking Permits for PDRs, are an improvement, the plan is flawed. He concluded by saying that there is no reason to implement any changes until a reasonable approach is found and the details worked out. The growing trend toward emptying and eliminating public parking garages and parking lots was mentioned at the meeting. There are a couple in the area and a number have been spotted in Mission Bay. Residents on Polk Street and Valencia are also complaining about the rush to eliminate parking spots. Why is the SFMTA spending any time and energy eliminating pubic parking for Muni customers, while cutting back on Muni service? How does eliminating parking options benefit Muni riders? There is a disconnect in the congested parking theory and the reality of the parking habits of human beings. Why is SFMTA is continuing to sign contracts to expand the program in spite of the lack of evidence or data from the initial tests? Father of the congestion theory, Dr. Shoup admits his theories are unproven. If Santa Monica can take back their streets, we can too. After hundreds of merchants and residents gathered this week to blast a proposal to remove parking spaces along Polk Street in favor of bike lanes, the head of San Francisco’s transit agency agreed to go back to the drawing board. Reiskin had a bumpy ride Monday night. When asked for specific removal numbers, he admitted to not having them — which prompted laughter and booing from the crowd. The agency had proposed eliminating parking from one side of Polk Street and partially from the other side to make way for dedicated bike lanes. Merchants had spent weeks drumming up opposition to the proposal, even posting signs on their shop windows saying “Save Polk Street.” Business owners worry that loss of parking will mean loss of business. Developers would be allowed to skirt limits on car parking if they devote the extra spaces to car-sharing, under a proposal approved unanimously by the SF Planning Commission yesterday. The bill [PDF], which advocates warn could be abused as a loophole to expand private parking, would apply to residential and commercial buildings. 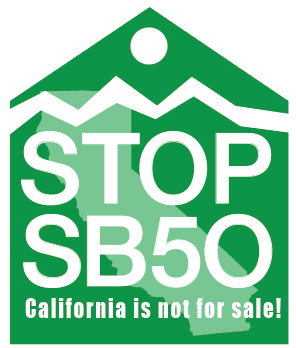 The legislation must still be approved by the Board of Supervisors. Under the proposal, developers who want to build the maximum number of private parking spots permitted by the planning code but aren’t willing to devote any of those spots to car-share would be allowed to add up to five extra car-share spots in a building of 50 residential units or less. For buildings larger than that, up to eight could be added. To be eligible for the exemption, a developer cannot apply for a conditional use permit to exceed the maximum allowance for private parking, according to Andres Power, an aide to Supervisor Scott Wiener, who introduced the proposal. Looks like the parking business is the fastest growng industry in San Francisco, unless we fight SFMTA and turn that around. How many local jobs do you suppose they are creating for the residents? How much of that money is staying in the local economy and how much is being sucked up by outside interests?